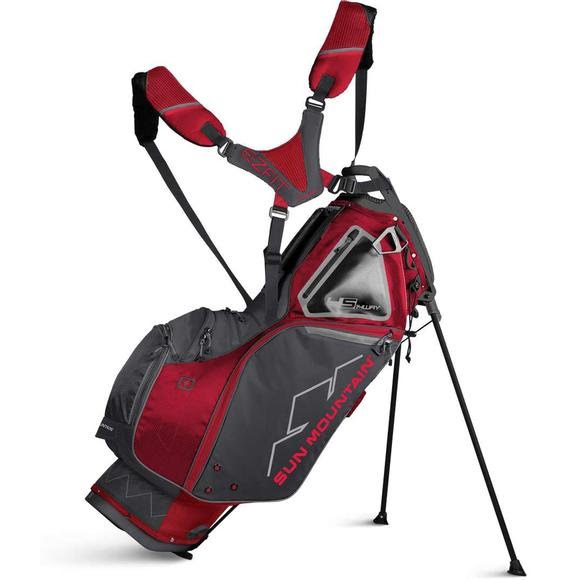 For those who carry their bag and want individual club dividers, Sun Mountain Sports' 4.5 LS 14-way is ideal. It has a lumbar support Air Flow hip pad; the E-Z Fit Dual Strap System, which is easy to adjust and padded straps made with three-layer foam construction for a more comfortable carry. In addition, the 4.5 LS 14-way has a new top with a comfort grip handle. For those who carry their bag and want individual club dividers, Sun Mountain Sports &apos; 4.5 LS 14-way is ideal. It has a lumbar support Air Flow hip pad; the E-Z Fit Dual Strap System, which is easy to adjust and padded straps made with three-layer foam construction for a more comfortable carry. In addition, the 4.5 LS 14-way has a new top with a comfort grip handle.